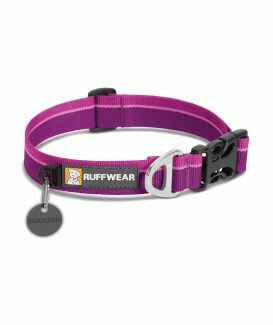 The Ruffwear Hoopie Collar is our everyday dog collar with an easy-to-use side-release buckle. Outdoor-inspired patterns connect you with your favorite wild spaces. 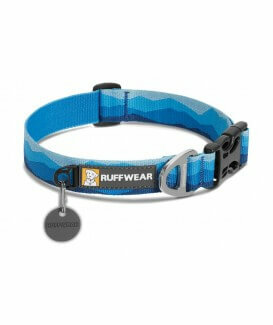 Packed full of Ruffwear's essential collar features: separate ID tag attachment point with tag silencer, strong and comfortable webbing, and aluminum V-ring. 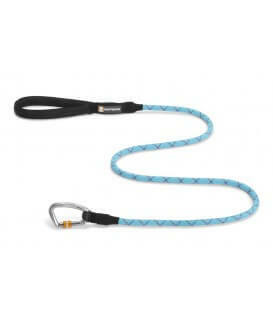 The Ruffwear Knot-a-Leash is a rugged, climbing-inspired dog leash that uses strong, supple kernmantle rope and a secure locking carabiner. 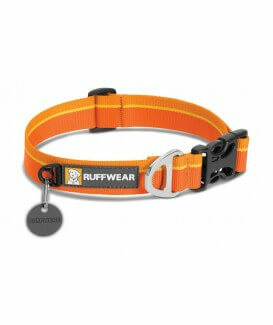 Reflective rope keeps dogs and humans visible in low-light conditions.